UPDATE: Well, that was fast. T-Mobile says the "issue with Google Pay and Google Play Protect" has been fixed, although affected users may need to re-verify their payment information to get the digital wallet app up and running again. If so, Google Pay will send an automatic prompt. The original story follows. For the first time in the company’s short history, a OnePlus smartphone is sold and advertised by a major US carrier. That obviously makes the OnePlus 6T significantly more visible to the American public than any of its forerunners, but those looking to buy the T-Mobile-specific variant of this exceptionally well-reviewed handset should also take a few downsides into consideration. For one thing, only one storage configuration is officially available from “Magenta.” Perhaps more importantly, software updates are rolling out way more often for the unlocked model. Adding insult to injury, the most recent over-the-air goodie pack that T-Mobile started to roll out last week appears to have done more harm than good. The minor 90MB or so update was supposed to enable support for “additional domestic roaming partners”, ending up disabling the phone’s Play Protect certification for some reason. Naturally, not all users are experiencing this glitch, but a number of Reddit threads and OnePlus forum pages have been flooded over the past 24 hours with similar reports and identical screenshots. According to the Google Play Help webpage dedicated to this topic, losing Play Protect certification essentially means the search giant “doesn’t have a record of the Android compatibility test results” on your device. 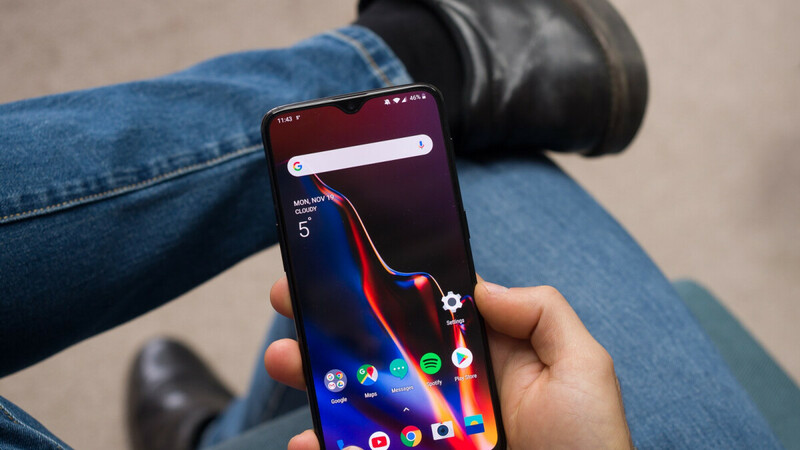 As such, the security of T-Mobile’s OnePlus 6T might be compromised, including data backups, and certain apps and features “may not work correctly.” Google Pay in particular seems impaired by this issue, refusing to open and complete mobile payments as a direct consequence of what appears to be a major misstep on T-Mo’s part. There are no words on an impending fix yet, so for the time being, there’s not much you can do to regain Google Play Protect certification or Google Pay functionality. If you haven’t updated yet, it might be a good idea just to ignore Android 9.0 build number A6013_34_181228. The problem is that you can't ignore it... It automatically downloads and installs without warning! Hopefully a patch is coming soon, hang in there. They must have Apples update team working for oneplus haha! Carriers shouldn't have their fingers in official OS or security updates. Put your bloatware on if you have to and let consumers decide if they want to put up with your BS.